Want to harness the power of Machine Learning? The value of data isn’t in collecting it – it’s in taking actionable steps from the insights it gives you. But in order to do so, it’s crucial to have reliable information – which comes from a rigorous data analysis. Whether you’re interested in optimising your production costs, forecasting your sales, finding new trends or detecting anomalies in your transactions, our data scientists can help. a project draft designed to your business needs. The requirements of every data science project are different. Request a free consultation from one of our data scientists and we can advise you on the best way to maximise your data. Fill out the form and we'll reach out to you. Simone has a Ph.D. in Computer Science and Machine Learning from the University of Pavia (Italy). His main goal is to give business decision-makers access to the huge advantages of Machine Learning and Big Data Analytics. 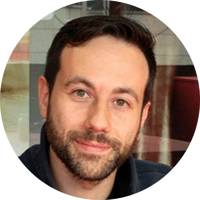 After earning a Ph.D. in Machine Learning from the University of Pavia (Italy) in 2011, Andrea held postdoctoral positions there, He was also a Process Development Researcher at Infineon Technologies. 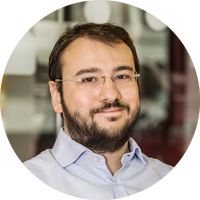 Gian earned his Ph.D. in Machine Learning from the University of Galileo Galilei, Padua (Italy). 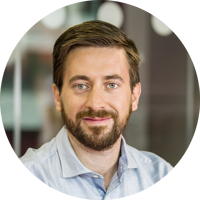 He oversees all things related to algorithms and methodologies in Statwolf and has several years experience developing Machine Learning-based solutions.